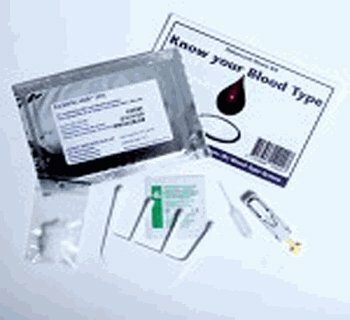 EldonCard Blood Type Kit is a fast, easy to use blood typing kit contains everything required to determine blood group and Rh factor using a whole blood sample obtained from a finger prick without the need for separate reagents or laboratory training. 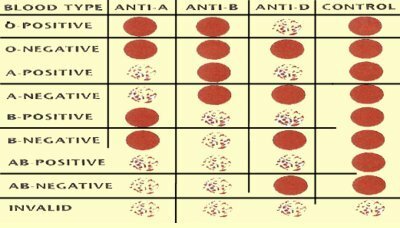 The EldonCard is a patented test card device that comes specially treated and impregnated with dried antibody sera Anti-A, Anti-B and Anti-Rh used universally for determining Blood type by the forward typing method. 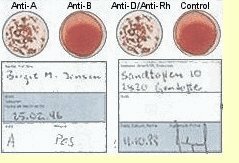 Creates a Permanent Blood Type Record Card for medical histories and emergencies.